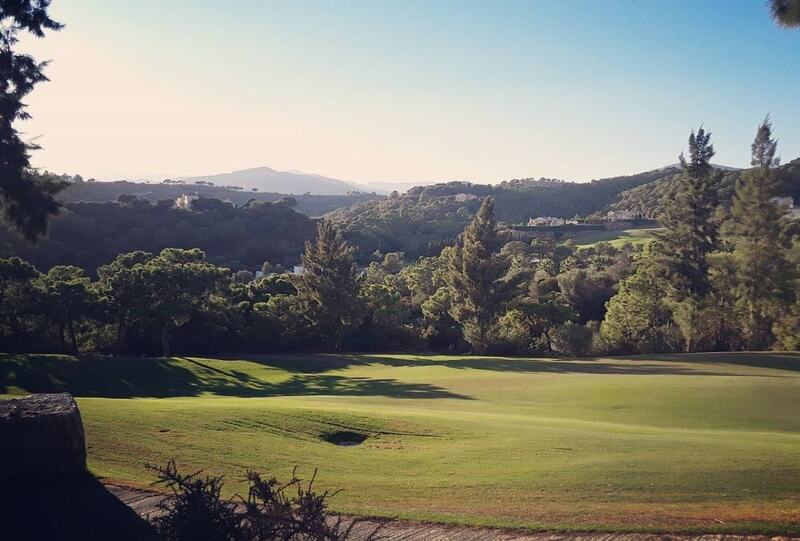 Marbella Club Golf Resort is a quiet residential area that spreads around the golf course of the same name. It has been marked as one of the most exclusive golf developments on the Costa del Sol. Marbella Club Golf Resort property offers an exciting real estate opportunity for second home buyers seeking for a home in the sun, set in peaceful surroundings. Marbella Club Golf Resort Villas, all designed by one of the areas’ top architects provide restricted access and 24 hour security. The average price of villas is Average price per sqm. in Marbella Club Golf Resort €4,119 0% properties#: 11 last change on: 19 Apr 2019 €4,119 per square meter. Additionally, golf and sea views put a premium value on the top of the selling price. An average price for a minority of apartments here is Average price per sqm. in Marbella Club Golf Resort €2,253 0% properties#: 1 last change on: 5 Dec 2018 €2,253 per square meter. If you’re looking for investment opportunities, the average is currently Average price per sqm. in Marbella Club Golf Resort €6,840 0% properties#: 1 last change on: 3 Jan 2019 €6,840 per square meter. The most renowned real estate agencies on Marbella Club Golf Resort property market are Engel & Völkers, Unique Living and Terra Meridiana, exceeding ten listings in the area. Why Marbella Club Golf Resort property? In the north, Marbella Golf Club Resort is surrounded by the white Andalusian village Benahavis and the historical neighborhood Monte Mayor. The vast golf courses of Los Flamingos are located in the southern part. The residential area of Marbella Golf Club Resort is only half an hour drive away from the municipalities of Marbella and Estepona. Furthermore, Malaga and Gibraltar International Airports are about one hour’s driving distance. The privileged location of this resort and its setting in a beautiful valley grant its residents the spectacular views of the surrounding mountains and the Mediterranean Sea. The famous six kilometre-long golf course is designed by Welsh professional golfer and renowned golf course architect Dave Thomas. It exceeds expectations even of the most demanding players. Enhanced by wonderful waterfalls, lakes, and greenery and maintained to perfection, this eighteen-hole golf course only proves the high standard that Marbella Club Golf Resort provides. It’s botanical gardens studded with tropical trees such as orange, banana, lemon and fig trees and coupled their vivid aromas are a truly a sight to see. In addition, the delicious Club House’s restaurant and a Pro shop are parts of this resort. Therefore, this luxurious establishment attracts lots of celebrities, well-known actors, and politicians from all over the world. Tennis lovers will appreciate the opportunity to perfect their technique on one of the fourteen courts at the Puente Romano Tennis Club. It’s located just a few minutes of walking from the resort. Another notable facility of the Marbella Club Golf Resort is its equestrian center. Indeed, this facility is a true paradise for all horse riders. Its charm is enhanced by the stunning surroundings represented by beautiful Atlas mountains, pine forests, and gorgeous views. Also, a ride in this luxurious center can be an exciting experience for both beginners and professionals. Besides basic treks through the countryside, the center also provides dressage lessons. Showjumping and high-level competition training are available for the experienced riders. Besides Spanish horses, it also has well-trained Arabian, German and French breed horses. For the youngest ones, there are smaller ponies available. Traditional Spanish fiestas take place all around the Costa del Sol. Many of them you can experience in the nearby Benahavis and San Pedro de Alcantara. In order to indulge in the atmosphere of the sunny region, you can spend some time at one of the beach houses. One of them, located in the area, offers a lounge on sunbeds, heated pool with seawater, and an excellent restaurant. Here, you can enjoy the highest quality international dishes or a traditional fresh seafood paella cooked in front of you. A fully equipped gym with personal trainers is available to you in the wellness centrum situated in the resort. Additionally, you can practice here with one of the pilates or yoga instructors. All the facilities around show the exclusivity of this area. Combined with its convenient location, this resort is a dream place for those seeking for perfection and a high-quality lifestyle.